… when compared to the type of garbage released around this time of every year. Majority of reviews on this film criticised it for its lack of urgency and slack narrative, which I don’t disagree, but does it deserve to get only around 30% aggregated score on Rotten Tomatoes? Honestly, I didn’t find the movie that awful. I think we should actually embrace it knowing that there’d probably won’t be many decent films in these couple of weeks (or months). 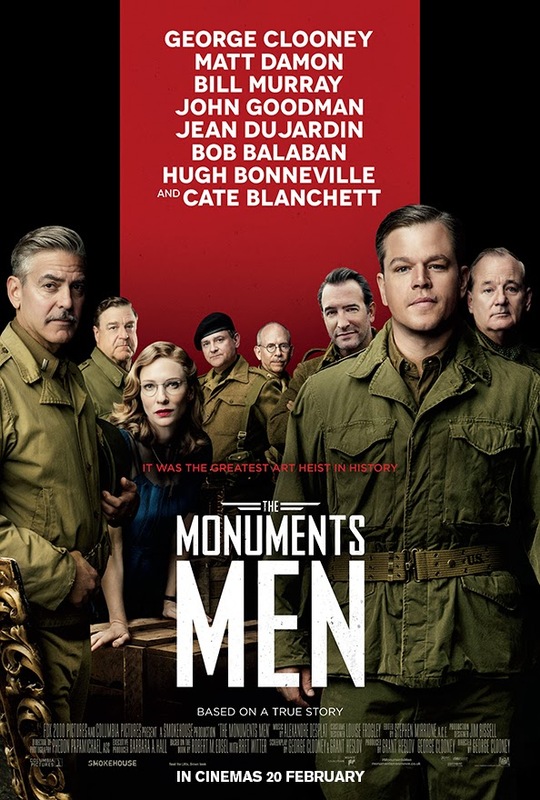 The Monuments Men is a war comedy loosely based on Robert M. Edsel’s nonfiction book about the Monuments, Fine Arts, and Archives program established by the Allied armies during World War II to protect and save cultural properties. In the movie, Lieutenant Frank Stokes (played by George Clooney) assembles a group of 7 art experts (including himself) in the “low-success rate” mission to recover art pieces stolen by the Nazis and prevent them from being destroyed by the war. The film does indeed have a very poor handling with the serious subject without intentions of depicting the historical events accurately. Other than convincingly conveying the high importance of preserving art, George Clooney (also the director and co-writer of the film) failed to truly honour those who were involved in the program, allowing the star actors to kind of play themselves with practically zero development for the characters. It’s quite a waste of the cast, actually, particularly Matt Damon who plays a simple, straightforward, personality-less Liutenant James Granger. 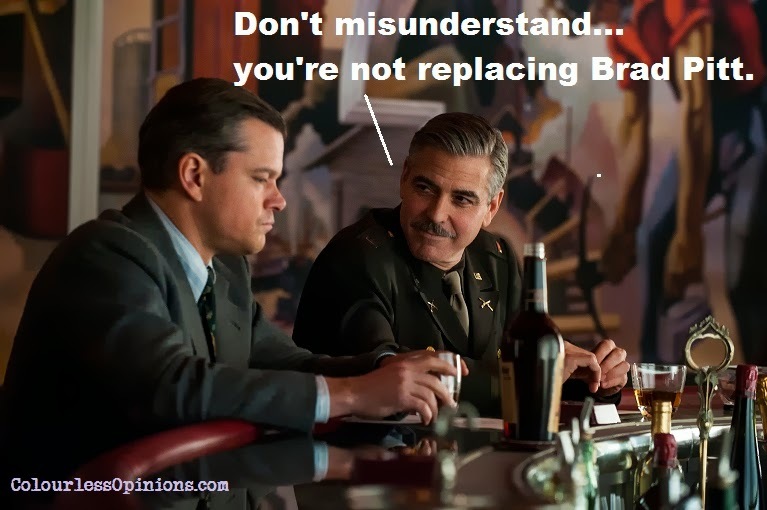 Clooney also sort of taken the harsh setting of World War II too lightly, making it seems as though it was very easy to get around and into the key areas of the plot despite the refusal of cooperation by the army bases. Although some of the other nations are involved in the plot, it’s largely a pro-America film, Hollywood-ly glorifying the heroics of the United States as usual while villainising the Russians on top of Nazi Germany. But was the film utterly boring? Not at all. It was fun to see these bunch of veteran actors on screen just trying to be subtly funny, and while the humour is not exactly intelligent (or rather, more like characters teasing each other kind of jokes), it worked on me to a certain extend. 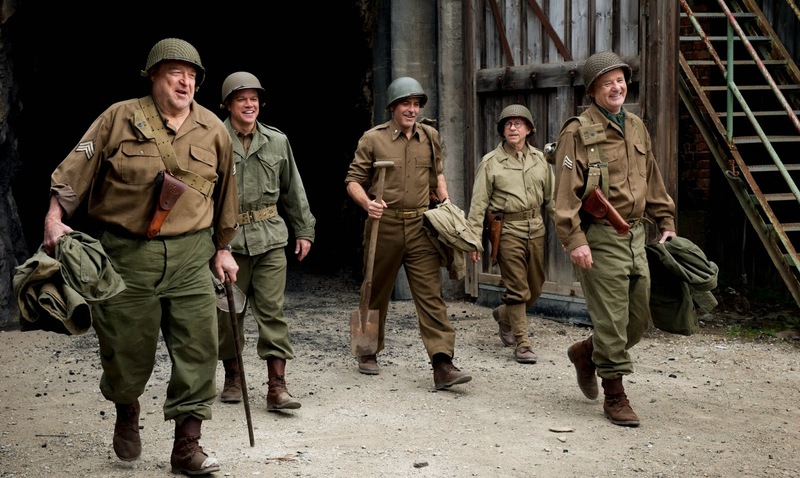 Ultimately, if anyone asked me if The Monuments Men is good, I just can’t say that it’s unwatchable. But for those who wants something similar but 10 times more brilliant, go watch Quentin Tarantino’s Inglorious Basterds (2009) if you haven’t already. Censorship in Malaysia: Didn’t notice any scenes cut at the media screening. Don’t seem that there’s anything to remove at all. It’s even classified ‘U’ by our beloved film censorship board. Second opinion: My girlfriend said she liked the movie and she liked how it “focuses on art”. Verdict: Despite its over simplifications, it’s a popcorn flick that I didn’t dislike. Great cast, lightheartedly funny, essentially educational. However, I’d suggest George Clooney to never act, write and direct at the same time ever again.